1. The story comes from the Book of Esther. You know, the one in the Hebrew Bible. 2. Esther is a queen. She's Jewish. 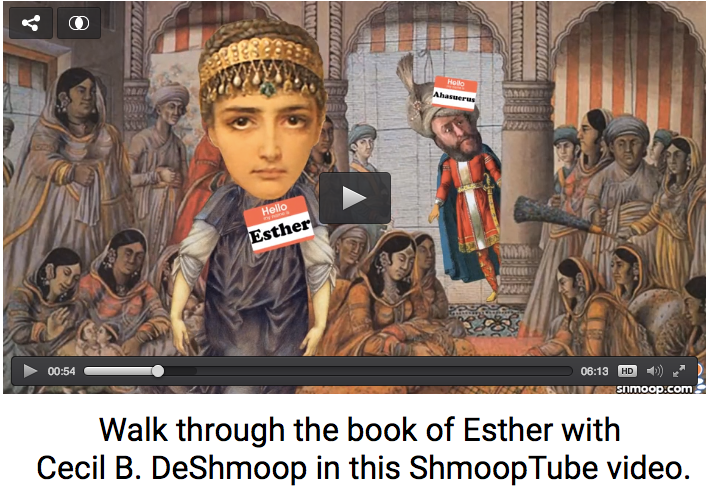 After Queen Vashti snubs the king, Esther is chosen by King Ahasuerus to be his new queen. How does he pick his bride? With a BCE-era beauty pageant of course. Apparently, "announcing your background" isn't part of the talent portion of the competition, because Esther stays mum about being Jewish. 3. Mordecai is Esther's cousin. He's pious. 4. Haman is the bad guy. He loses. The anti-Semitic Haman is plotting to destroy the Jews. Esther puts the kibosh on that—finally revealing that she's Jewish—and everyone rejoices. (Okay, we left out a few plot points, but that's the gist.) We all know that the best way to celebrate the death of your mortal enemy is with cookies and loud screaming...hence, hamentaschen and the tradition of shouting every time Haman's name is said. 5. Purim is dress-up day. 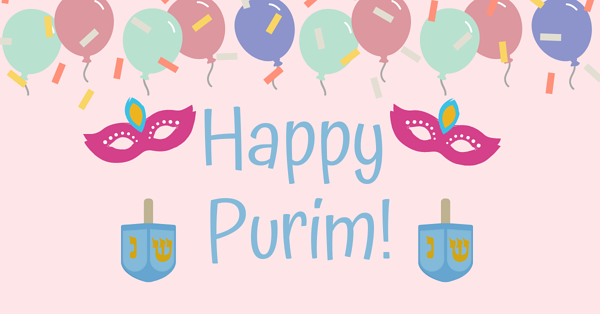 The Book of Esther officially makes Purim a holiday. But, uh, it's pretty vague beyond that, so people went their own way with it. One tradition? Because Esther hides her true identity for much of the story, many modern Jews celebrate Purim by dressing up in costume. While Queen Esther is a classic fave, really anything goes. Arya Stark, anyone? Cookies, costumes, and good guys prevailing. What more could you want? "For a full 180 days he displayed the vast wealth of his kingdom and the splendor and glory of his majesty." Party like it's roughly 500 BCE.